Tom Cipullo, Nico Muhly, and a collection of Composers & the Voice alums will be the next to join the rosters of composers to participate in the Opera Grows in Brooklyn series. The show will be held on Friday, April 16 at 8pm at Galapagos Art Space in Brooklyn’s DUMBO neighborhood. Tickets are $20 ($15 for students/seniors) at www.galapagosartspace.com and they tend to sell out, so buy early! 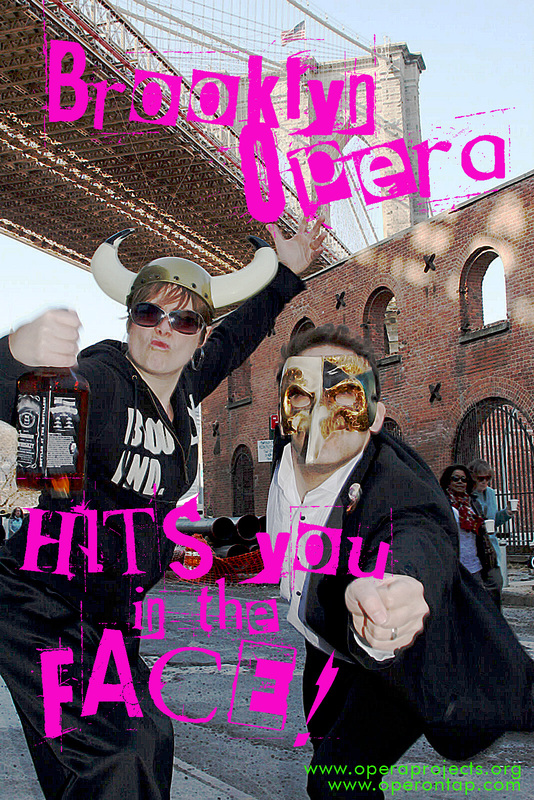 Opera Grows in Brooklyn is an ongoing collaboration between American Opera Projects and Opera on Tap that presents three 30-minute selections of songs and scenes from contemporary composers in a hip, cabaret-style atmosphere. Audiences have a chance to meet the artists and composers after the performance. American Opera Projects begins the evening with Absynth, a futuristic monodrama made up of newly-commissioned electronic songs from composers Nico Muhly, Kevin McFarland, Florent Ghys, Caleb Burhans and C&V composers Andrew Staniland and Stephen Andrew Taylor. Conceived and performed by frequent AOP collaborator mezzo-soprano Abigail Fischer (Composers & the Voice, Semmelweis, Judgment of Midas), Absynth explores questions about the influence and relationship between (wo)Man and Machine. Finally, Opera on Tap will present the one-act opera Margot Alone in the Light, an adaptation of Ray Bradbury‘s short story All Summer in a Day by C&V composer Clint Borzoni and librettist Emily Conbere and produced by Jennifer Peterson‘s operamission. Ray Bradbury’s story is set in a classroom of schoolchildren on the planet Venus, where it rains constantly with the exception of one hour every seven years. None of the schoolchildren remember the sun, except for ‘Margot,’ who moved to Venus four years ago from Ohio. The role of ‘Margot’ will be portrayed by soprano Martha Guth and the role of ‘Mrs. Clott,’ the schoolteacher, will be sung by mezzo-soprano Alteouise de Vaughn. It will be staged by Scott C. Embler (founding member and former producing director of Vital Theatre Company). Jennifer Peterson, founder and director of operamission, will conduct the opera. The inaugural performance of Opera Grows in Brooklyn at Galapagos in April 2009 was called “an exciting new level of work for these young companies. Brooklyn and the rest of the city will benefit from future collaborations like these.” (The Curator). 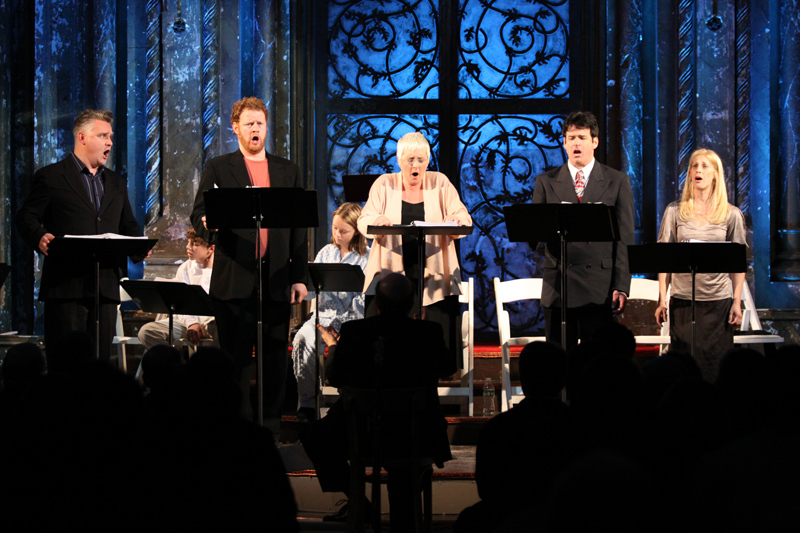 Past Opera Grows in Brooklyn performances have featured music by David T. Little, Stefan Weisman, Christopher Berg, Gilda Lyons, Matthew Schickele and Jack Perla and performances by David Adam Moore, Lauren Worsham, Jonathan Hays, and Daisy Press. It was just announced this week that New York City Opera will close their 2010-11 season with the AOP-developed Stephen Schwartz opera Séance on a Wet Afternoon. Our audiences got a chance to see several workshops of Séance in 2008, and now they’ll have a chance to see how it all finally came together when it has its fully staged NYC premiere on April 19, 2011. NYCO star Lauren Flanigan, who appeared in each of the AOP workshops, will return to the role of Myra, the psychic medium who hatches a nefarious kidnapping plot in order to boost her reputation. See more about NYCO’s premiere of Séance on a Wet Afternoon and the rest of the 2010-11 season here. Other upcoming premieres of AOP-developed projects include Before Night Falls at Fort Worth Opera this May and Heart of Darkness at the Royal Opera House in 2011. The Fort Worth Opera (fwopera.org) presents Cuban American composer Jorge Martín’s Before Night Falls (May 29–June 6), which features young baritone Wes Mason as the gay dissident and poet Reinaldo Arenas in Fidel Castro’s Cuba. You are currently browsing the Have a Voice blog archives for March, 2010.